They walked side-by-side through the forest. For Clara, this felt like coming home, more than returning to the holding, or even seeing her mother. The forest had sheltered her, hidden Duncan, and punished Enrico. 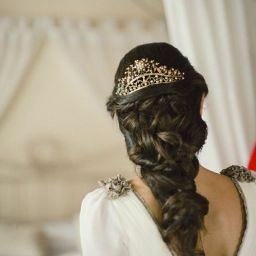 As she walked, the sun made its way through the canopy to settle in her hair. Leaves softened her steps. Birds called to each other from the trees. Vallebrion was safe. Enrico was dead. Maitea was starting to recover. There had been no riders from High Rock to accuse Clara of complicity in Fearghill&apos;s escape. It felt to Clara as if she had woken from a nightmare. As though, one day, even she wouldn&apos;t quite be able to believe that she had lied to the Prince of Teleahn, helped smuggle three fugitives out of High Rock, and defeated a man as evil as Lord Enrico. That she had matched steps with a Halfblood Shayn who could change his face as easily as donning a cloak. Clara darted a glance at Duncan. She hoped that part would always feel as vivid as it did at this moment. Following the river, they took a path deeply familiar to them both. To the rockpool. The river was swollen with rain and the waterfall was heavier and louder than Clara remembered it ever being. What had Fearghill called the Guardians&apos; place? The Otherworld? It felt as if they might be walking between one world and another, straying close to an alien place. "What do we do?" said Clara when they reached the rockpool. Duncan picked his way over to two large, flat rocks and sat down on one of them. He gestured to Clara to do the same. "Close your eyes," he said. "I think... if we make ourselves open to it, she will come to us." Clara sat down cross-legged beside Duncan. After a moment, she reached out and clasped his hand with hers. She listened to the noise of the waterfall. 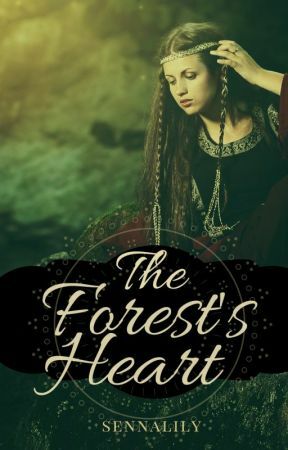 It sounded like the wheels of a fast-moving carriage, carrying her away from the forest, even while she could feel the sun, the stone beneath her, and Duncan&apos;s hand in hers. She stood and turned around. A tall, green-cloaked lady stood framed by the trees. Her hair was the russet of falling leaves, and her skin the white of the moon reflected in still water. "Lady Briona," Clara said, because that seemed like the right way to address her. "I... I want to humbly thank you for what you did." The woman put her hand up. "Clara of the Forest," she said, and her voice carried the echo of all the sounds Clara had heard and stored up on the walk here: the birdcalls, the crunch of dry leaves and squelch of wet ones; the babble of the river and the roar of the waterfall. "No thanks are needed. There is little of me or my kind left any more, but what there is can still protect this sacred forest from one man such as that if he is fool enough to stray into its borders." Clara ducked her head and nodded. Briona turned her attention to Duncan, who stood quietly beside Clara. "My child," she said, "you have fewer wounds than when I saw you last." "I am getting stronger," said Duncan. "And wiser." Briona turned away. "Time to go now, children." With a start, Clara woke and found that she was curled on her side, her cheek on Duncan&apos;s arm. Somehow, the rock was comfortably shaped to accommodate her. Duncan&apos;s inky eyebrows fluttered up and his amber eyes fixed on hers. He smiled, and she realised how rarely she had seen him smile, and how much she liked it when he did. "We should go back," said Duncan. Clara nodded. They climbed to their feet. The wind rustled its farewell. A/N: There we have it! I hope you enjoyed the story. If so, please vote, comment, add to your library and tell your friends! Emma&apos;s an old hand at time travel: the first time she was pulled backwards she was ten years old. She can sense the memories that stone, fabric and wood have soaked up: usually she just sees them, but sometimes she ends up living them. She knows the drill: (1) avoid getting pulled backwards in the first place; (2) avoid the object that&apos;s pulled you backwards; (3) avoid the circumstances that caused you to encounter the object, or, if all that fails, (4) wait it out until you&apos;re back in the right time.